Mark your place in your book with this super cute pot-o-gold bookmark! Create one for yourself or someone special! 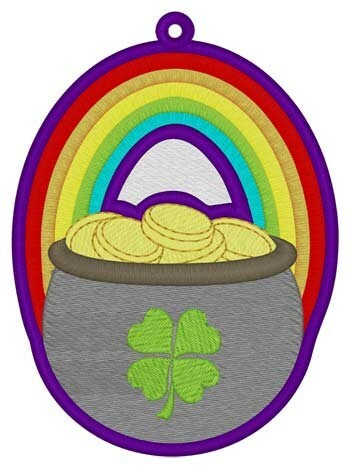 Dakota Collectibles is happy to present Pot-o-Gold Bookmark machine embroidery design which has 16456 stitches and is [72.64 mm x 99.06 mm] large. If you would like to view more embroidery patterns please search on our embroidery designs page.